WASHINGTON - The government watchdog group, Judicial Watch, has filed a lawsuit against the US Air Force to obtain records of a trip made by First Lady Michelle Obama to Southern Africa in June. The group is questioning whether the trip, which included a meeting with Nelson Mandela and an African Safari, was necessary. According the U.S. Postal Service records, Judicial Watch’s FOIA request was received by the Air Force on July 6, 2011. A response to the request was due within 20 working days, or by August 3, 2011. As of August 19, 2011, the date of the complaint, the Air Force has failed to produce the records requested or respond with a date they will be forthcoming. The professed purpose of Mrs. Obama’s trip was to encourage young people living in South Africa and Botswana to get involved in national affairs. The First Lady’s remarks focused on education, health, and wellness issues. 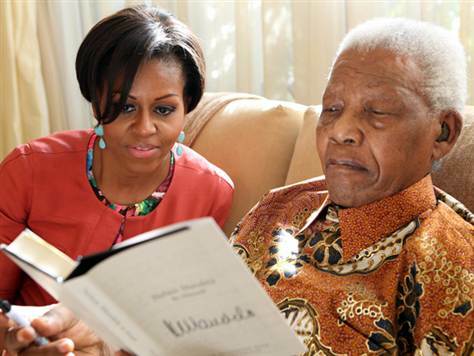 However, accompanied by her daughters Malia and Sasha, her mother, Marian Robinson, and her niece and nephew, Leslie and Avery Robinson, the trip also included such tourist events as visits to historical landmarks and museums as well as a visit with Nelson Mandela, described by Mrs. Obama as “surreal”. The trip ended with a private family safari at a South African game reserve before the group returned to Washington on June 27.